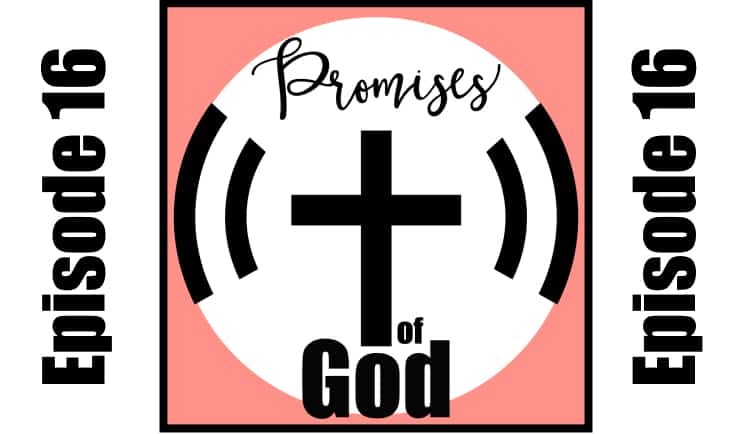 Welcome back to the Promises of God Podcast, episode number 16. My name is Tracie Rollins. Thank you so much for spending some time with me as we learn and take action on God’s promises in life. This month series is about choosing hope in both the good times and the bad, and we’re working out of the momentum devotional offered by BibleJournalingMinistries.Com, where you can learn more about Bible journaling with our free 10-day Bible journaling course. Today we’re talking about choosing hope. Our verse is Hebrews Chapter 10:23, which I’ll read from the new living translation. It says, let us hold tightly without wavering to the hope we affirm for God can be trusted to keep his promise. Hope is a choice. Sure, there are days when I don’t have confidence. Absolutely. I’ve been trying for over a year maybe. Yeah, close to two years probably now to get my church to consider holding a Bible journaling class. I have met with the coordinator on the campus. I’ve sent emails, I met with the pastor, and we talked about it. He seemed encouraged about it and was know, said he tells his wife and you know, pipe it up the line and that was awesome. I got to meet with the Women’s Bible study director, and she responded with me for a little bit and gave me the opportunity to tell her more about it and she-she needs to go, you know, to talk to other people about it. But so far after the wasted effort, I have heard nothing but crickets. I have all but given up hope, and yeah, it is hard and frustrating, but that is why it’s so important to pray and be in the word because it’s versus the ones we have today that say don’t waver, have to hope and I have hope. If God truly wants me to share the message with my local church, then I have to be here still. I can’t give up. I have two weights in the pause of this time. It’s possible that the church isn’t ready for it. A lot of churches aren’t prepared for Bible journaling. A lot of it’s new, and so the data isn’t there and to, to, you know, be able to say comprehensively, you know, so many millions of people have, have, you know, discovered the word in it helps them better with their study. I mean I have, I have data that shows that I present that data whenever I’m talking to people about hosting Bible journaling. I have a lot of data that says it’s fantastic and helps people grow in the word and have joy and peace and it encourages them to open up their bibles are so many benefits, and I have all that data, but it could be that the church is not ready. It could also be that they have procedures that are in place, wouldn’t. That’s pretty likely that they have to go through in that, you know, it takes time for them to prioritize it and put it on the agenda for them all to talk about it. It could also be that I’m not the person they want to deliver that right now or ever. That’s okay too, and hopefully, they find the right person to do that. If that’s what they decide and another thing to consider is that it just might not be the right time for me to do it. It could be that God has me on pause because he has something else for me in my life, like number one, recovering from this knee replacement surgery. Right Or perhaps he has something else better for me or maybe not better but different for me. Perhaps he has a path that I haven’t considered. It’s possible that I’m supposed to do Bible journaling classes, not just at my local church, but maybe he wants me to travel or wants me to speak in different places. I’ve had many opportunities when I was in marketing to speak to large audiences, so it’s possible that you know, this could be a pause in that I’m a shift in direction potentially. I don’t know what God’s plan is, but I do have hope, and I know that he has put this on my heart, and he’s put me on this path, and I will continue to pray until he eliminates the way. There are so many instances in the Bible where God fulfills his promises. Joshua 12:45 reads, not one of all the Lord’s good promises to Israel failed. Every one was fulfilled. The evidence throughout history is that God keeps his promises, so why do I occasionally had the feeling that God won’t keep his promises Some days I feel that his hopes in scripture are spoken over my life don’t pertain to me. Sometimes I feel like I’m not good enough or talented enough to pay attention to, but then I remember. This is precisely what Satan wants me to feel. The truth is as that though I’m not worthy, Jesus is through his blood. I am washed of my sins, and so are you. God’s promises are for me, and they are for you. He always keeps his promises. You can count on it. He may not provide them on your schedule or even in the way you think that he should provide them. Like I was saying, I thought that I should be in my church right now doing Bible journaling and they should ask me to do it right. That’s just so silly when you think about it that way. It’s just so. It’s funny that I sometimes feel like God should do what I want him to do, but I promise you, even though God may not provide his promises on your schedule, he definitely will keep to his schedule. It’s up to you to make the right decision. Are you going to believe in Satan’s lie or are you going to choose hope Hoping in God is a choice that you can make right now? I encourage you to invite God into your life right now. You can press pause on this podcast, and you know right now, get on your knees and pray to God. Asked him to fill you with the Holy Spirit. Ask him to be a part of your life and change you. You can. You can do that right now. If you know God and maybe you’ve strayed a little bit, that’s okay to press pause on the podcast and give your life back to him. It’s okay. You know you’re not promised tomorrow. Don’t put this off. Life is too short. Romans 6:23 says, the wages of sin is death, but the free-gift of God is eternal life in Jesus, our Lord. So turn to him, confess your sins and follow his will in your life and you will feel the love of Christ that surpasses all understanding. Thank you so much for tuning in today, and I’m so excited that we wrapped up our series on hope and I cannot wait to see you in the next episode of the Promises of God Podcasts. Goodbye.